What’s the first thing that comes to mind when you think of a teacher? Images of strict teachers standing in front of a classroom full of students, reading out from a text book, or writing something on the board or doing something unbelievably drab is what most of us would have imagined. This was not to be the case, however, at the training session that was held by TERI (The Energy and Resources Institute) for teachers in the AV Room of the Don Bosco Provincial House, at Matunga on 25th June, 2011. The program was attended by 27 teachers from 8 schools all over Mumbai, plus one teacher who had come all the way from Lonavla. And if you saw the excitement that the teachers had written all over their faces throughout, it was only a telling sign of the good time they were having. And what pretty shiny packaging! Amidst all the running around to launch Green Homes and all the other stuff that happens over the course of a normal day, there’s no comfort food like my favourite pack of chips and bar(s) of chocolate. And so, I’ve realized, ‘going green’ will not be easy, even for the GreenLine team. 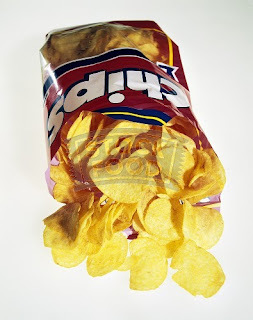 Because with chips comes packaging, and with packaging comes a whole lot of problematic waste.